The much awaited maiden budget presented by the Modi government commits to sustaining a growth of four per cent in agriculture. The challenge before the finance minister was to increase agricultural production and control food prices. 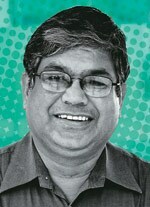 To accomplish this goal, he tried to enhance investments and rationalise subsidies in the agriculture and food sector. The budget listed many measures to improve irrigation, strengthen warehousing, expand R&D, boost farm credit, enhance productivity, etc. Some of the measures are expected to yield quick results but some would take three to four years. Soil test-based nutrient management can significantly increase agricultural production and improve soil health. To meet this objective, it is proposed to provide soil health card to each farmer via mobile soil testing vans. 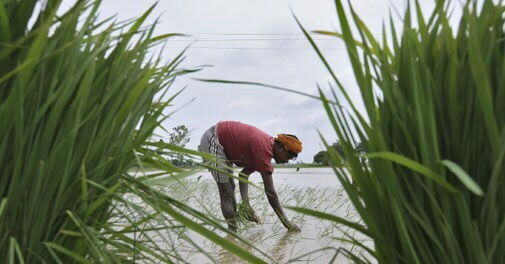 To expand irrigated area, the finance minister has proposed a new scheme, 'Pradhan Mantri Krishi Sichayee Yojana', with an allocation of Rs 14,389 crore. Similarly, to expand water availability in rain-fed areas, the budget has given an added push to the watershed programme though a new scheme 'Neeranchal' with an outlay of Rs 2,142 crore. It is not clearly defined whether this will be the new name of the 'Integrated Watershed Development Programme'. But in the long run, these two programmes are expected to increase water availability for agriculture, reduce dependence on an erratic monsoon and contribute in augmenting agricultural production. The third programme proposed is related to climate change as the extreme events of floods and droughts are increasing. The budget also proposes to increase investment in agriculture. Agricultural credit has been increased to Rs 8 lakh crore. A new scheme is proposed, 'Long Term Rural Credit', for purchase of farm equipment. It would require investment over the long term. It should boost private investment for higher agricultural growth. Promoting organic farming in the north-east and exploring their export potential is another encouraging feature. By default, the north-east region favours organic farming so harnessing its potential for niche commodities will lead to an increase in income of farmers. MGNREGA is planned to provide wage and self-employment opportunities in rural areas. It should be used for water conservation structures, farm bunds, afforestation, etc. It is more important to make its implementation effective and transparent. It is equally critical that this programme does not compete with agriculture for labour. It would be more rewarding if this is linked with the proposed programme for developing watersheds in rain-fed areas. All these programmes - at the backend of the food supply chain - related to soil, water, credit and climate change are expected to yield sustainable and climate resilient farming systems. It appears that these programmes will continue and their allocation will expand in subsequent budgets to boost production of agricultural commodities.